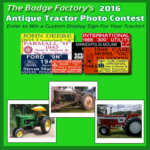 Do You Own a Vintage Tractor or Antique Farm Equipment? a Personalized Weatherproof Display Sign! 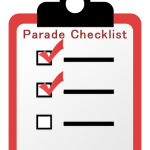 Join now and instantly receive our handy printable checklist to get your tractor Ready For The Next Parade! Other perks include members only discounts, special events and contests, tractor trivia and much more! 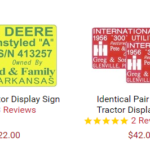 Sign Up For Tractor Tuesdays and Instantly Take 10% Off Your Order! New — Product Rating Feature Just Added! !